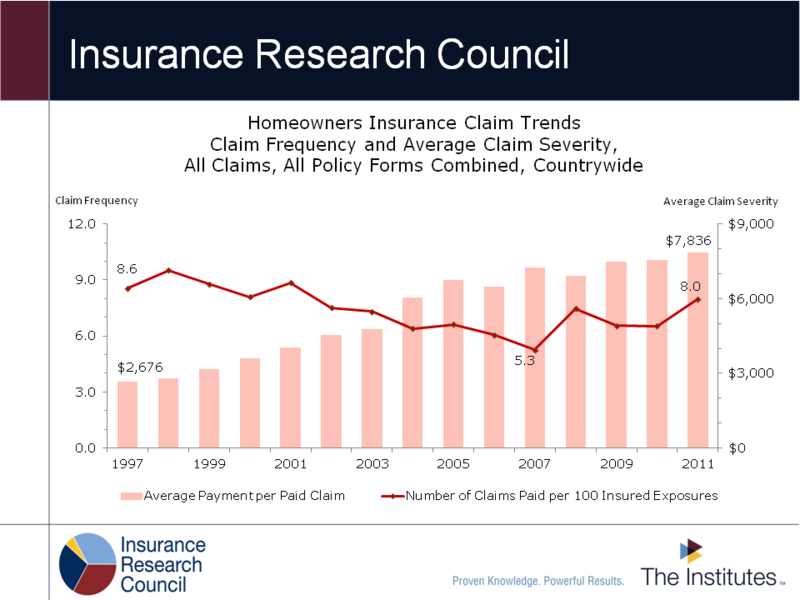 This report documents homeowners insurance claim frequency, severity, and loss cost trends from 1997 to 2011. Countrywide and state findings are presented. Special attention is focused on the role of catastrophe-related claims. 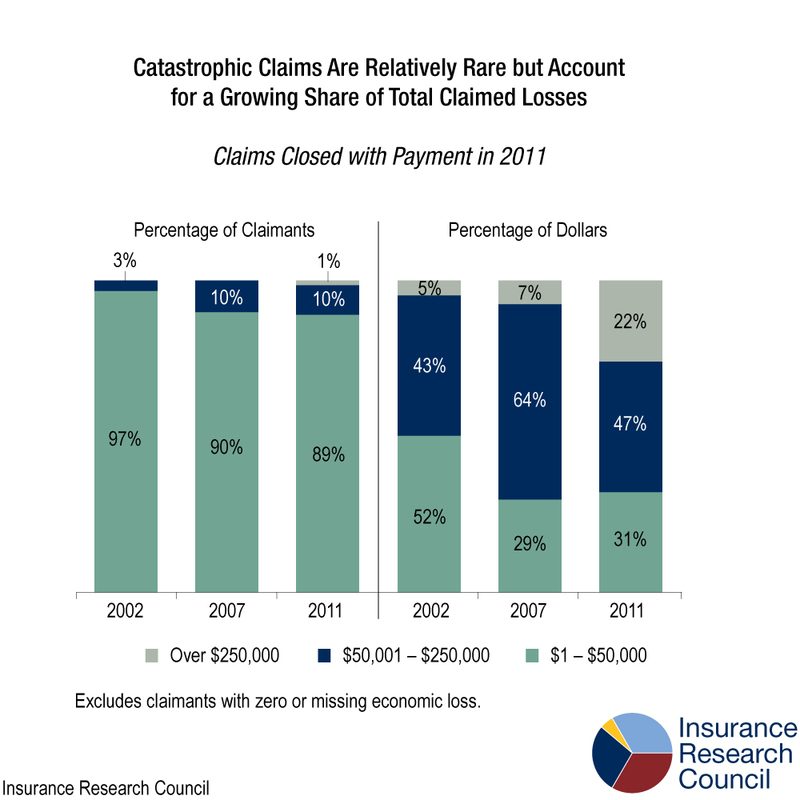 The study finds that the cost of homeowners insurance claims increased rapidly over the study period, driven primarily by a rapid increase in the severity of all claims and a slow, but steady, increase in the frequency of noncatastrophe-related claims beginning in 2006. This report identifies some of the key factors contributing to the large increases in PIP claim costs in Michigan from 2002 to 2011, examining changes in the composition of claimants and in treatment patterns among claims closed with payment. The study also pays special attention to the role of very large claims, with information collected on a sample of catastrophic open claims. 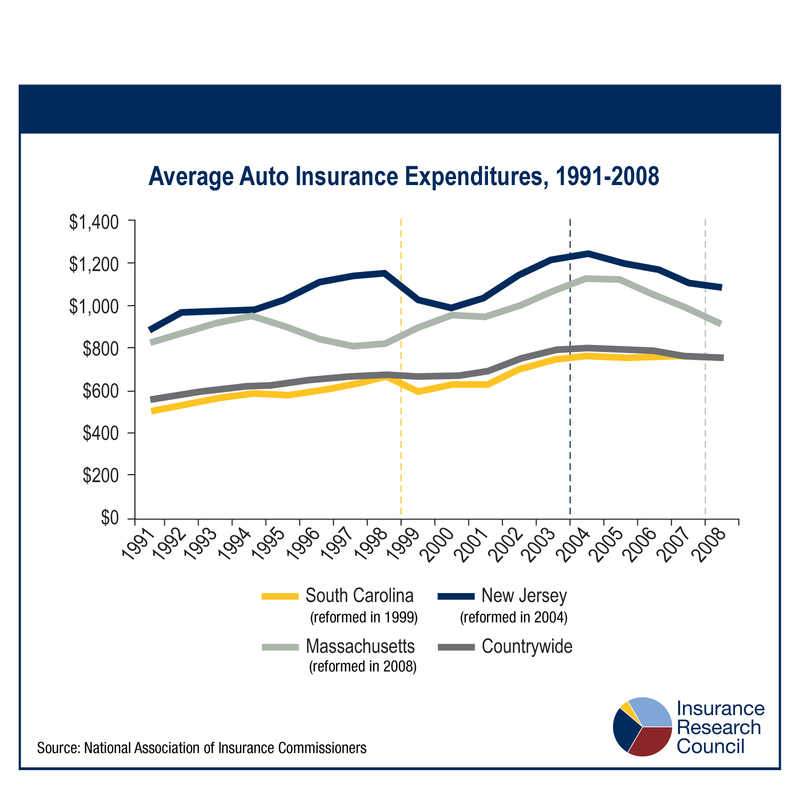 This study provides evidence of the positive impact of relaxing stringent rate regulations in the automobile insurance markets of South Carolina (reformed in 1999), New Jersey (reformed in 2003), and Massachusetts (reformed in 2008). Estimates show that rate reforms have led to a number of positive developments in these markets without leading to increases in insurance prices or reductions in insurance availability. Overall, the regulatory reforms in these states have improved the performance of the insurance market for both consumers and insurers. 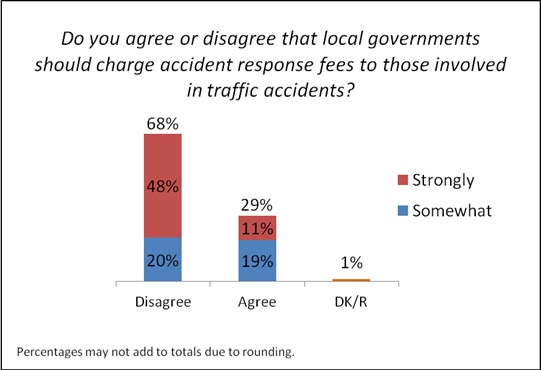 New findings from an Insurance Research Council (IRC) study of auto injury claim trends indicate that insurance claim costs countrywide have recently increased, reversing previous trends of declining or relatively stable costs. The report, Trends in Auto Injury Claims, 2011 Edition, documents important auto injury claim trends, both countrywide and by state, using private passenger auto claim data from national and state-level statistical reporting agencies. 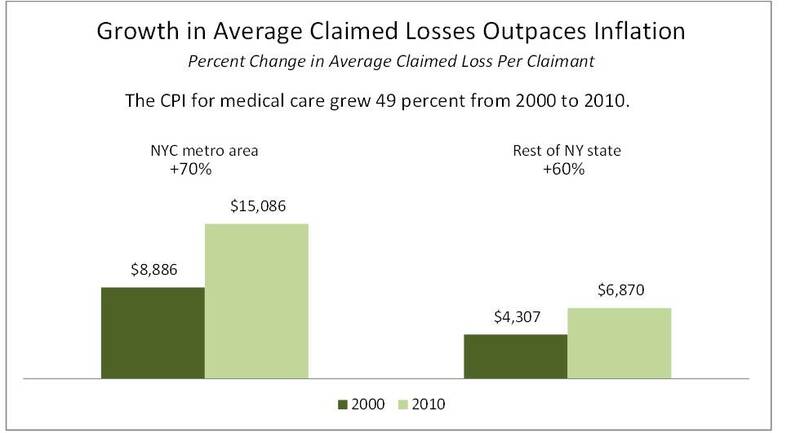 New findings from an Insurance Research Council (IRC) study of personal injury protection (PIP) claims closed in 2010 show that claimed losses for medical expenses, lost wages, and other expenses related to injuries from auto accidents in the New York City area have risen 70 percent over the past decade, surpassing the 49 percent increase in medical care inflation over the same period. 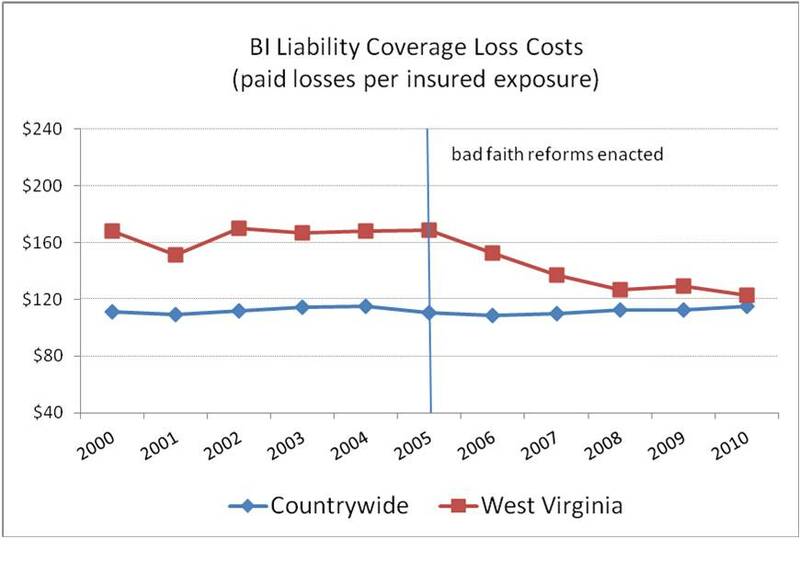 According to a new study from the Insurance Research Council (IRC), third-party bad-faith reforms adopted by the West Virginia State Legislature in 2005 were estimated to have reduced underlying insurance coverage costs by approximately $200 million in the five-year period after the reforms were enacted. 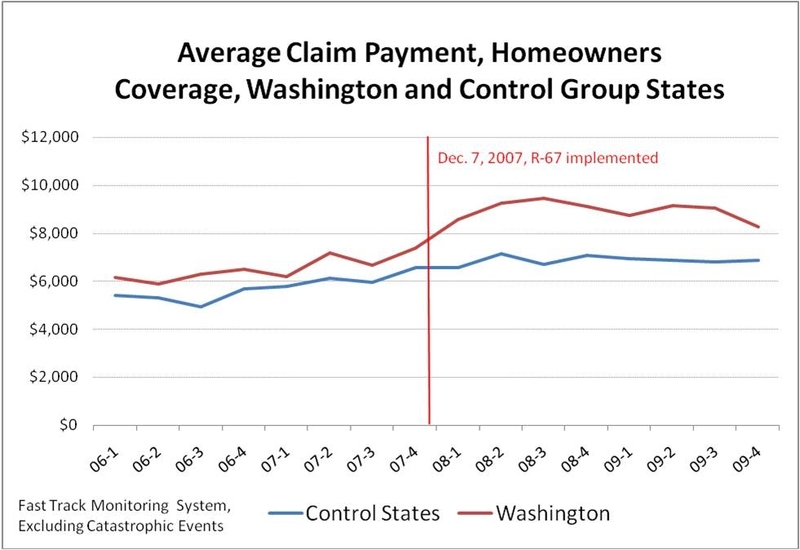 According to a new study from the Insurance Research Council (IRC), evidence suggests that legislation adopted by the Washington State Legislature in 2007 and approved in a statewide voter referendum may have caused an increase in homeowners insurance claim costs in the state. It is estimated that claim costs were as much as $190 million greater than they otherwise would have been in the two-year period following the law’s enactment. The Insurance Fair Conduct Act, commonly referred to as R-67, eased restrictions for aggrieved insurance claimants filing lawsuits alleging bad faith against their own insurance companies, and authorized the payment of virtually unlimited punitive damages to bad-faith claimants, in addition to the payment of actual damages, attorneys’ fees, and court costs. 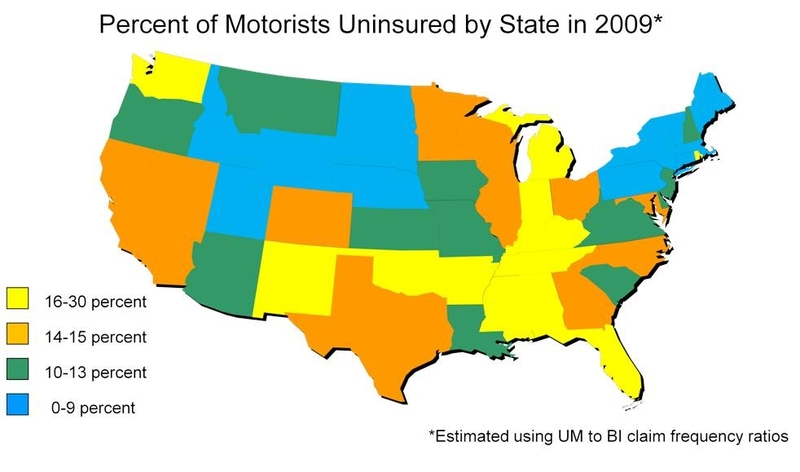 Almost one in every three no-fault auto insurance claims closed in Florida in 2007 appeared to involve the exaggeration of an injury or to be inflated by unnecessary or excessive medical treatment, according to a new study from the Insurance Research Council (IRC). In addition, as many as one in ten no-fault claims appeared to be fraudulent, with material misrepresentation of some or all aspects of the claim, such as claims based on fictitious accidents.